The Hebrew name for Egypt, misrayim, corresponds to Ugar. msrm, Phoen. msrym, Egyptian Aram. msryn, Syr. mesrem, Akk. Musur/Musru/Misri, Old Persian Mudraya, Arab. Misr; the word is not, however, attested in Old Egyptian. The Egyptians themselves called their land ... t3.wy, the "two lands" (referring to Upper and Lower Egypt) ... If misrayim constitutes a genuine dual form, and if it is connected with Akk. misru, "border, region", and Arab. misr, "border, land, capital city," it might be a translation of t3.wy, although this explanation is extremely uncertain. Meir Fraenkel's derivation of misrayim, associating it with matar, "rain," "water," is untenable. The singular form masor also occurs in the OT (Mic. 7:12; 2 . K 192:24 par Isa. 37:25; Isa. 19:6) and the gentilic form misri is richly attested. The JPS translates this as "all her pursuers overtook her in the narrow places", but adds their common note to "in the narrow places": "Meaning of Hebrew uncertain". The Daat Mikra says that "narrow places" is probably the plain meaning of the verse, but says there are those that explain it as meaning "distress", so the verse would mean "all her pursuers overtook her when she was in distress." Interestingly, they also quote the Rashbam as saying the word here means "border" - in the borders of the Kingdom of Yehuda, and that whenever the Jews would flee to the border, their neighbors would hand them over to their enemies. So perhaps the word does have a biblical origin. 2) The Arabic misr meaning "capital city" explains how Cairo is referred to as Masr in modern Egyptian Arabic. Stahl, in his Arabic etymological dictionary, writes that this title originally applied to Fustat. He quotes Maimonides, in a letter to Ibn Tibbon, where he writes, "I reside in Mitzrayim [meaning Fostat]; the king resides in Cairo." 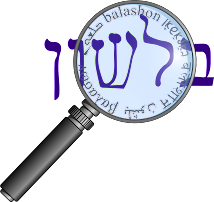 3) The Daat Mikra generally writes that Matzor מצור is simply a poetic form of Mitzrayim, and not a singular form (however in their commentary to Bereshit 10:6, when the word Mitzrayim first appears in the Tanach, they write that it might be a double form, indicating the two kingdoms.) In a footnote to Melachim II 19:25, they note that Matzor might preserve an earlier form of the name, and that the suffix "-im" in Mitzrayim might be locative, like Yerushalayim. This explains the Akkadian and Arabic forms, which otherwise might appear to be singular. However, prophetic texts from Jeremiah [44:1] and Isaiah [11:11] differentiate between מצרים [Mitzrayim] and פרתס [Partos] as Lower and Upper Egypt, indicating that מצרים [Mitzrayim], if it is to be located as a geographic reference, at least in these prophetic texts refers to Lower Egypt or the Nile delta. Northern or Lower Egypt is called Mazor, .. while Southern or Upper Egypt is Pathros, the Egyptian Pa-to-Res, or "the land of the south" (Isa. 11:11). But the whole country is generally mentioned under the dual name of Mizraim, "the two Mazors". However, this explanation ignores the fact that Mitzrayim and Patros are listed together in Yishayahu and Yirmiyahu.